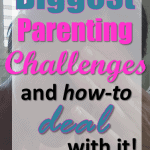 Parenting Challenges. 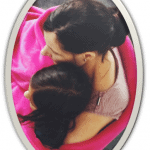 The top daily parent concerns and how to deal with it. How do I raise an intelligent child? And, What is the secret to raising smart kids? And if you want the best answers to those common questions, you are in the right place today! It was triggered by my recollection of a similar question posed by a patient consulting at my family practice. What is the secret? How do I raise my child to be brilliant? Certainly, the easiest way to ensure you have a clever child! In other words, marry the most intelligent spouse you can find! The opportunity for genetic selection had passed. So let’s forget about the influence genes have on your child’s intellect and discover more practical ways to raise a brilliant child. help our kids be even more brilliant. So what are we saying then? And, that is exactly what we will discover in this post. One I naturally have because I am a mom and a physician. And although I don’t expect you to share this perspective, I do want you to share in the benefit thereof. Today I want to challenge you to think differently. And, discover the secrets to raising smart kids! Yes, in essence, that will translate into you being a Power Parent raising Brilliant Kids! 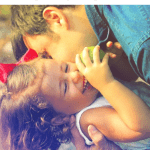 Parenting Skills are Simplified with this free 7-day email course. I share 5 great examples of this transformed thinking process. and then, all you have to do is start to implement them on a daily basis. How can I transform this health tip into actionable advice that will truly make a difference to my child’s wellbeing? How can I boost my child with superfoods? That is the kind of easy and actionable advice that every parent needs to raise smart kids. It is essential to know the value of adding superfoods to family meals. We all want happy families, right? Well, it is much easier to spread happiness when you understand the science behind it. Happiness is a trait that is surely not overrated. Recognizing the process of being happy and sustaining the beneficial effect is what it is all about. Understanding happiness and the effects thereof will empower you to easily include things in your day-to-day living to share happiness. Happy parents most often have happy children. to build a happy future. be sure to not only choose a clever father for your kids, but also a happy one! remember to subscribe to be notified of this and more great parenting tips, hacks and freebies. Yes, it is very important to raise an intelligent child. Isn’t that we all want for our kids? You can read a review on learning toys at different developmental stages here. You can check out my favorite preschool toys to stimulate brain development and fine motor skills here and here. Never buy a toy as a gift if you won’t let your own child play with it! Having fun with your kids is an absolute must! Instead of just buying them a new toy, buy a new toy and have them share one of their old ones with another child at the same time. it is also a brilliant decluttering hack! Trash laying around the playpark? Clean it up with the kids before playing. It’s all about Learning whilst having fun! grab a free Learning styles guide with worksheet and printable now! we need not be superhero parents. 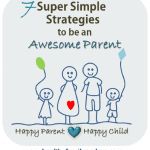 Knowing and accepting that we needn’t be super parents will allow us to be awesome parents. Able to keep up the pace and not fear burn-out. We can easily armor our kids with tools to succeed in life, by following power parenting strategies. You can immediately start to converse more easily with your kids today. Allow kids to kids to choose their own rewards and punishments. This will motivate them to reach their goals and avoid disappointment. Provide kids with the opportunity to actively partake in being raised smartly. By doing this you will raise strong, smart kids with a bright future. Turn general parenting tips into actionable advice and raise Unbelievably Smart Kids! 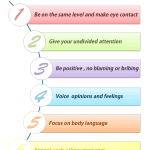 Your child’s development potential will skyrocket … The secret to raising smart kids discovered! 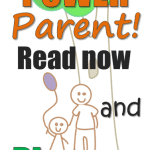 Leave a comment and share your best power parent strategies? How do you take general parenting tips further and discover ways to be a better parent?